Alas, I don’t have a spare server to test out deploying ONTAP deploy on a physical KVM host, but I can try with a nested host in VMware Workstation. I’m a KVM noob, and no Linux guru either, so if I can get it working, anyone can. 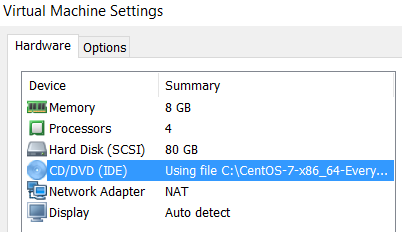 CentOS 7.2 was downloaded from the internet. 2.5) Make amendments as required in the CentOS 7 Installation Summary. Note: I don’t install the graphical virt-manager, since I want to keep this as minimal a CentOS install as possible, and not have to install GNOME Desktop. The automatic partitioning is not ideal, but we do have enough space. Next steps would be to connect to the console and complete the configuration of the Deploy VM. But since this was running on CentOS on VMware Workstation on Windows on a laptop (not a super beefy one either), the performance is not great, so we’ll end this post here. Note: This is my first experience running a VM in KVM. Hopefully this post is not too shabby and shows that it’s not that difficult.